Welcome to the only indoor shooting range in Billings! Find out how to get setup with one of our 4 membership types today! Black Butte Range Memberships Have Big Benefits! It is our mission to provide the highest quality and safest firearms training programs available. Become a member today and get discounts on range time, gun rental, training classes, and much more. We welcome you to come practice your skill, learn about gun safety and technique, and test the most unique guns in the area. Our 10, 25-yard lanes are open to experts and beginners alike and are rated from .22 to 50 cal rifle. 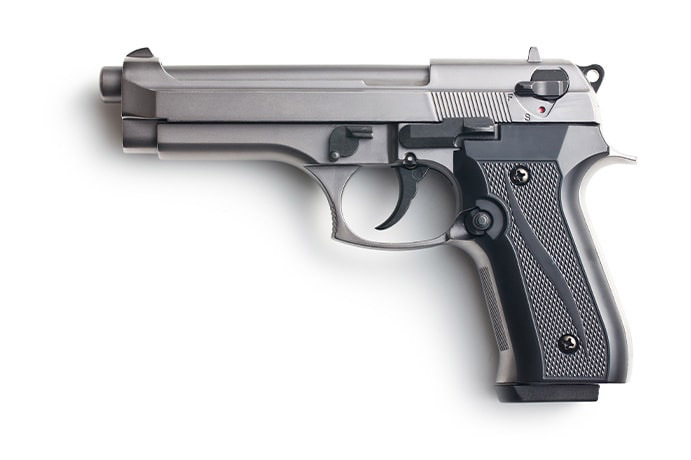 We offer a wide range of firearms for rent. Choose from pistols, shotguns, rifles, and more! We provide a wide range of high quality, affordable and engaging educational experiences for all levels of shooters. We are thrilled to announce the grand opening of Black Butte Range, formerly Three Sights Range. Black Butte Range partnership was formed in July of 2017 with a mission to provide superior and innovative firearms to every outdoor enthusiast safely. Our new team is comprised entrepreneurial, business-savvy men who have a passion for all things shooting. We promise to provide our members and customers a consistently evolving inventory that is unique to our area along with the best knowledge in the industry. Let us help you put the next generation of weaponry to the test. All memberships include unlimited weekday range time, and many other benefits! Includes up to 4 members in the same household. Children must be under the age of 19. Black Butte Range is proud to offer several instructional courses for individuals of all skill levels. It is our mission to provide the highest quality and safest firearms training programs available. Click on the class name below for additional information, price, and schedule. Dates and times are subject to change.